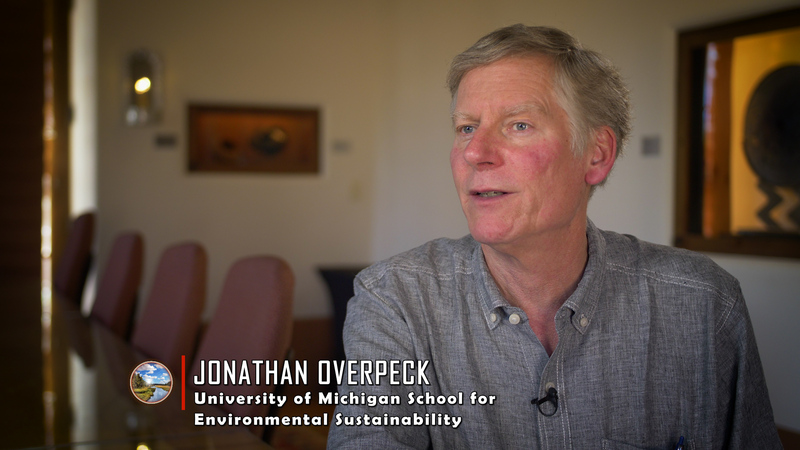 May 11, 2018 – Scientist Jonathan Overpeck has spent decades studying climate change and its impacts in the southwestern United States. Last year, he and Bradley Udall published a paper showing that between 2000 and 2014, flows on the Colorado River averaged 19 percent below the 1906-1999 average. One-third of the losses, they showed, were due to higher temperatures as opposed to changes in precipitation. They also showed that if warming continues, the Colorado River will see 20 to 35 percent decreases in flows by 2050 and 30 to 55 percent decreases by 2100. "I just want to tell you what a wonderful job you do as host of New Mexico in Focus. I had never watched this show until relatively recently, and now I never miss it. - Bill"